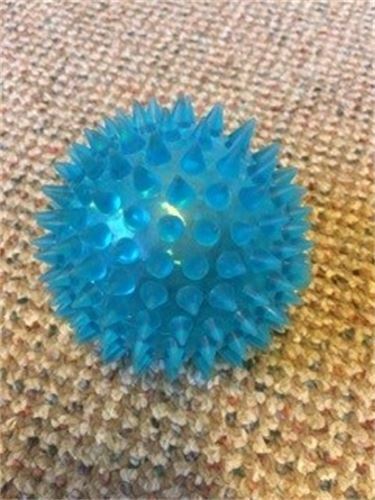 This hand-held ball can enhance sensory stimulation with its textured surface. It can encourage the tactile senses, motor skills, and hand-eye coordination. It may be used in group play for practicing socialization skills.